Napoleon’s Prestige PRO Series Gas Grills are known for their beauty and performance. The new PRO 825 with Infrared Rear and Burner Gas (PRO825RSBI) is no different. Napoleon’s Prestige PRO Series Gas Grills are known for their beauty and performance. The new PRO 665 with Infrared Rear and Side Burners Gas Grill (PRO665RSIB) is no different. Napoleon’s Prestige PRO Series PRO 500 with Infrared Rear and Side Burners (PRO500RSIB) proves that cars aren’t the only thing that has style and performance in one package. The Napoleon Prestige Series Stainless Steel Prestige 500 with Infrared Rear and Side Burners (P500RSIB) Gas Grill gives the backyard chef all the exclusive grill features needed. The Napoleon Prestige Series Prestige 500 with Infrared Rear and Side Burners (P500RSIB) Gas Grill with a black hood gives the backyard chef all the exclusive grill features needed. The Napoleon Prestige Series Prestige 500 with Infrared Rear and Side Burners (P500RSIB) Gas Grill with a Smoky Quartz color hood gives the backyard chef all the exclusive grill features needed. It’s time for a new barbecue. One that has everything you need to easily grill for a crowd, or just for yourself. The Napoleon Prestige 500 gas grill (P500RB) with Infrared Rear Burner is has just that. It’s time for a new barbecue. One that has everything you need to easily grill for a crowd, or just for yourself. The Napoleon Prestige 500 gas grill (P500RB-K) with Infrared Rear Burner is has just that. The Napoleon Prestige Series P500 Gas Grill is the grill. With 760 square inches of grilling area, you don’t have to worry about running out of space. Small and mighty, the Napoleon Prestige 308 with Infrared Rear Burner (P308RB) Gas Grill has all the qualities of a full sized, high-end gas grill with a tiny footprint and a low price. The Napoleon Prestige P308 Gas Grill is perfect for those who want a high-end, stainless steel grill but don’t have a whole lot of space. The Napoleon Prestige Series P500 with Black Hood Gas Grill is the grill. With 760 square inches of grilling area, you don’t have to worry about running out of space. Convenience and quality is maximized in the Napoleon Triumph 410 with side burner (T410SB). Stainless steel construction, a range side burner and folding side shelves for easy portability. 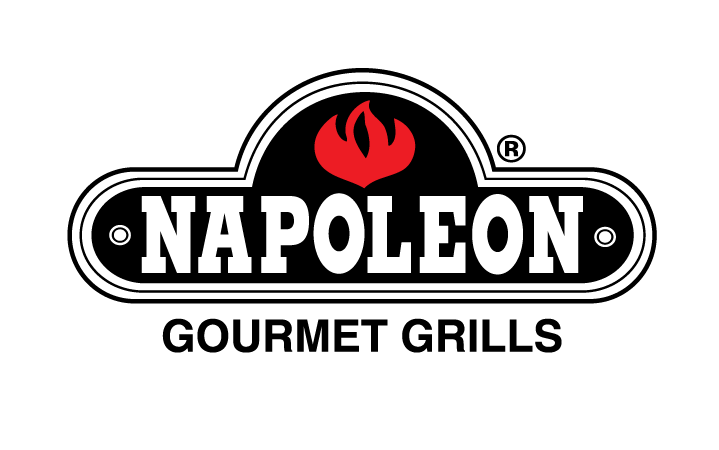 The Napoleon TravelQ™ TQ285-BL Portable Gas Grill is proof of Napoleon’s commitment to innovation and performance. Grill at anytime, anywhere with this new TravelQ™. Take gourmet grilling anywhere, on any terrain with the Napoleon TravelQ™ TQ285X Portable Gas Grill with Scissor Cart. Napoleon takes professional grilling on the road with the TravelQ™ PRO285 Professional Portable Gas Grill. Anywhere, anytime, the life of a grill enthusiast is not always a stationary one. The Napoleon TravelQ™ (TQ2225) portable gas grill provides you that flexibility. Anywhere, anytime, the life of a grill enthusiast is not always a stationary one. The Napoleon FreeStyle™ Portable Gas Grill with Infrared Bottom Burner (PTSS215PI) provides you that flexibility. Anywhere, anytime, the life of a grill enthusiast is not always a stationary one. The Napoleon FreeStyle™ Portable grill (PTSS215P) provides you that flexibility. Anywhere, anytime, the life of a grill enthusiast is not always a stationary one. The Napoleon Marine Portable gas grill (PTSS165) provides you that flexibility.